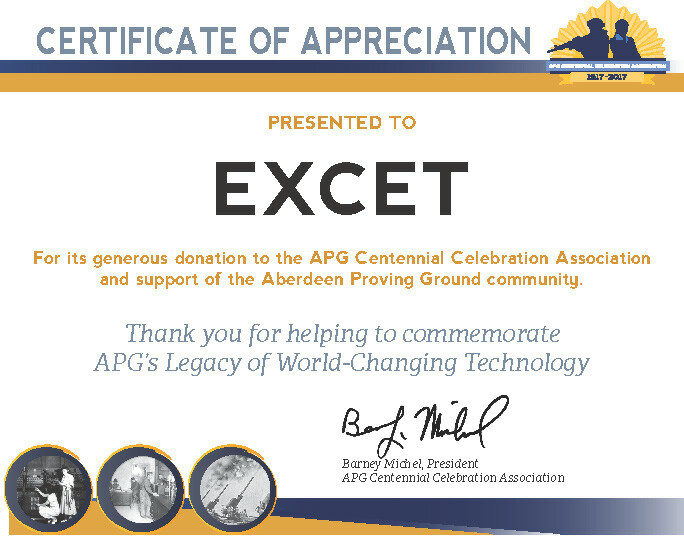 Community Involvement - EXCET, Inc.
Excet fosters a corporate culture through which employees are able to give back to military families who serve our country. 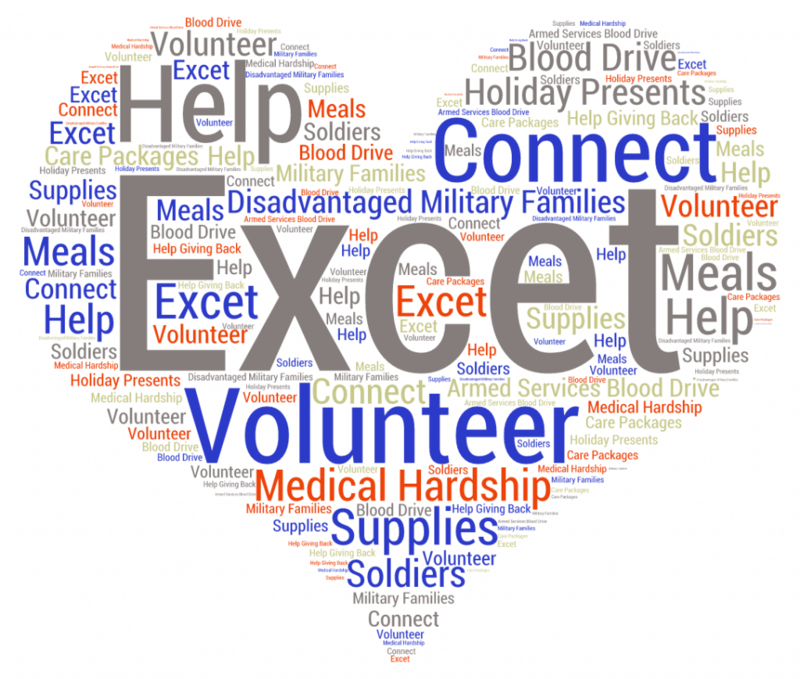 Excet employees volunteer to provide meals for families of soldiers facing medical hardship, donate holiday presents and supplies to disadvantaged military families, participate in the Armed Services Blood Drive, and send care packages to deployed military personnel. Excet is proud to offer matching donations of up to $250 per employee each year to employee designated charities.